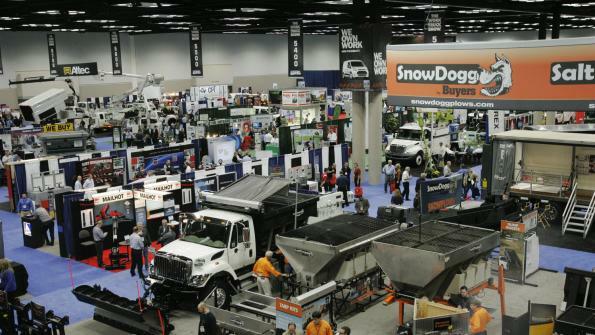 Here is a preview of the 2014 Work Truck Show, which takes place at the Indiana Convention Center in Indianapolis March 5-7. It’s all about technology at the 2014 Work Truck Show, which takes place at the Indiana Convention Center in Indianapolis March 5-7. This year, the National Truck Equipment Association (NTEA), the Association for the Work Truck Industry, which produces the show, celebrates 50 years of service to its members and the industry. The Work Truck Show brings together more than 10,000 attendees comprised of fleet managers, equipment buyers, manufacturers, maintenance personnel, distributers and dealers. Attendees can choose from more than 60 industry-focused training courses and presentations. Former Secretary of State Condoleezza Rice (photo at right) tops the list of speakers at the show. More than 500 exhibitors are presenting new vocational trucks and equipment in a 500,000-square-foot product showcase. Products displayed will include truck chassis, bodies and equipment; cranes and aerial devices; power takeoffs; snow and ice control equipment; liftgates, cargo management solutions and more. The training sessions and workshops at the 2014 show cover job-relevant topics and issues impacting the industry. The courses cover vehicle certification, truck design and specification, trends and forecasts, government legislation and regulations, federal excise tax laws and requirements and updates from original equipment manufacturers (OEM). Government fleet managers should attend the Remote Fleet and Mobile Work Crew Management Technologies Symposium at the show. This course on March 4–5 has been updated to include a new focus on the use of remote tracking and measuring technologies. The NTEA welcomes Rice as the keynote speaker at the President’s Breakfast & NTEA Annual Meeting. 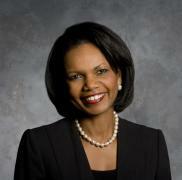 Rice is a senior fellow on public policy at the Hoover Institution. She is also a professor of political science at Stanford University and a professor of political economy in Stanford’s Graduate School of Business. Rice is a founding partner of international strategic consulting firm RiceHadleyGates, LLC. Rice’s speech at The Work Truck Show will include insights from the political arena as well as her educational and managerial career. Held in conjunction with The Work Truck Show, The Green Truck Summit provides education on clean vehicle technology innovations for vocational trucks. Technical experts, government officials, industry leaders and early-adopter fleet managers will be on hand to share their insights and lessons on green technologies. In the photo at right: the Green Truck Ride and Drive event at the show. Registration for The Work Truck Show 2014 is now open. To sign up or find more information, visit www.ntea.com or call 1-800-441-6832. Exhibitors and attendees tell why they attended the 2013 Work Truck Show in this video.